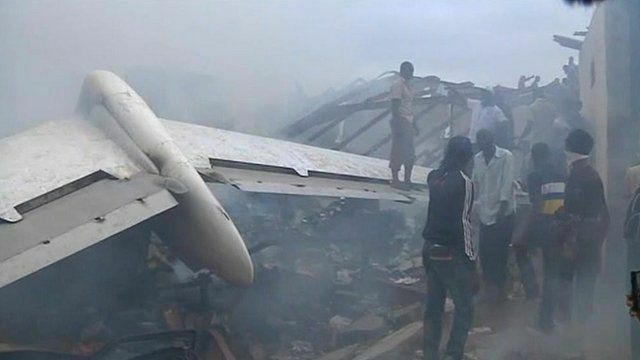 A passenger plane with 147 people on board has crashed into a building in a densely populated area in the Nigerian city, Lagos. The head of the Nigerian Civil Aviation Authority said the plane, operated by Dana Air, was travelling between Lagos and the Nigerian capital, Abuja. The BBC's Tomi Oladipo said the building was probably empty so all of the casualties would have been on the plane.